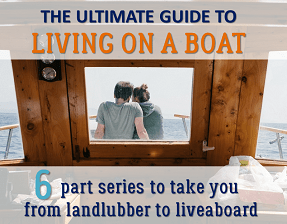 As much as we love to get out on the water and disconnect, we still have a soft spot in our hearts for the apps that make life afloat a little easier. Below are our fav apps that we use regularly. Let us know the sailing apps that you can’t live without in the comment box below. 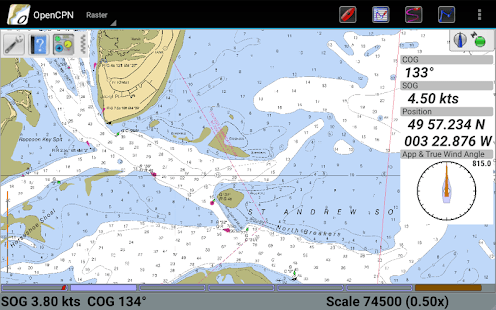 Navionics has recently put out an exciting new update. In December 2018 they released a version which runs on both smartphones and tablets and includes an Active Captain overlay. As our backup navigation system this app has been invaluable! We use it for passage planning, double-checking our position, and when our Raymarine chartplotter glitches out. For those of you with wanderlust, we found that Navionics had the most accurate charting for Mexico. 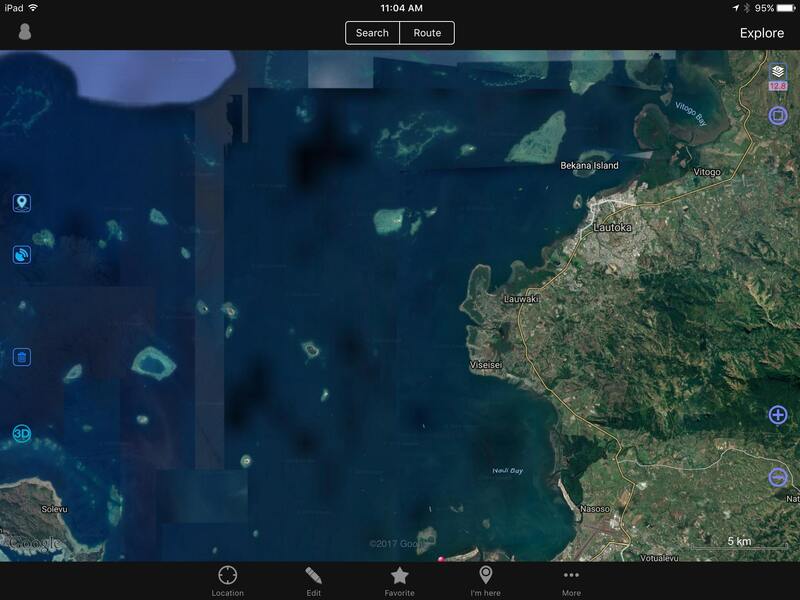 Worldwide maps are available and we would now take our iPad along on any charter boat excursion. Another feature we love is the apps’ compatibility with Raymarine products. I often plot all of our waypoints below deck on the iPad and then wirelessly upload it to our Raymarine chartplotter – how sweet is that! OvitalMap allows you to view satellite images and track your GPS position OFFLINE! We found this app invaluable while sailing in poorly charted areas and navigating tricky passes. It’s necessary to download the satellite images while connected to the internet but once you have them saved, you can access them anytime. This app has a bit of a learning curve and is not particularly intuitive, but it’s very useful once you’ve got the hang of it. When it comes to navigation, who doesn’t love redundancy? Like many cruisers we are running OpenCPN on our laptop. We recently installed it on our and android phone as a backup. Having recently ditched paper charts on our boat, it’s nice to have a backup for your backup. OpenCPN does not contain charts so you have to download those separately. Free NOAA charts are available and work with OpenCPN as do CM93 world charts. 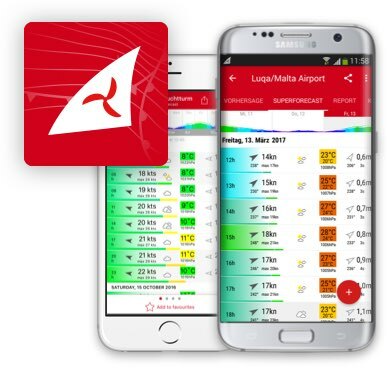 PredictWind offers two great apps for weather forecasting: one for inshore and coastal sailing and another for offshore sailing. 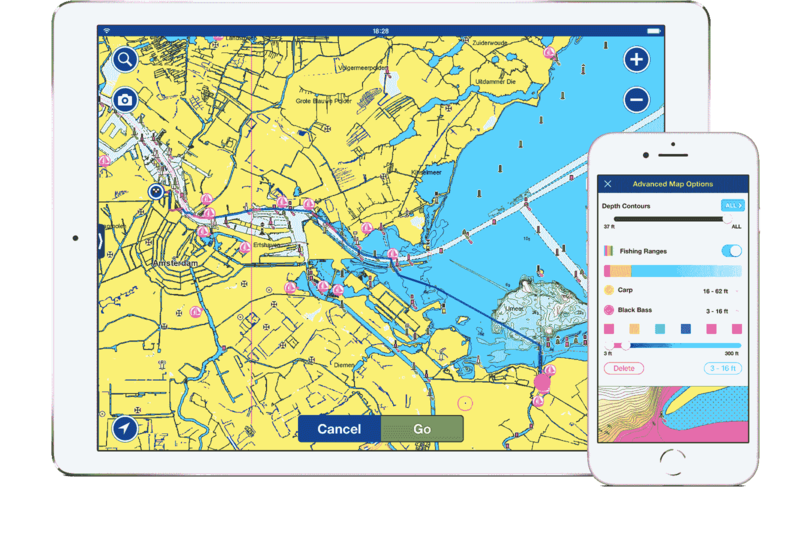 The inshore app displays high resolution weather forecasts, accessible by internet or mobile data and the offshore version additionally allows you to access GRIBS via a satellite or SSB connection. We used the offshore product on a Pacific crossing in 2017 and couldn’t have been happier with the results. The forecasts were very accurate and we could quickly download them over our Iridium Go connection. See our detailed review of the PredictWind Offshore app here. We find Windfinder works well for forecasting wind speeds but has been inconsistent for tide data. 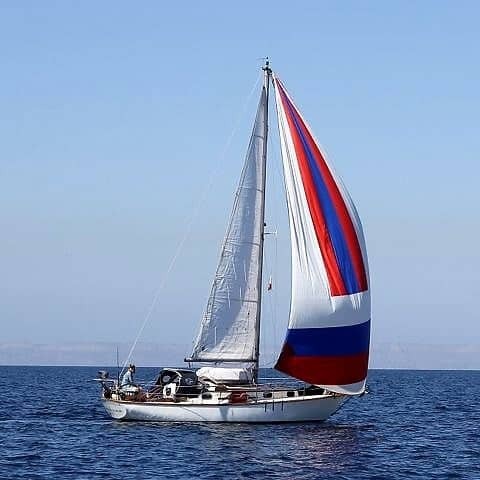 Good for planning a day-sail and checking current wind conditions at various locations. 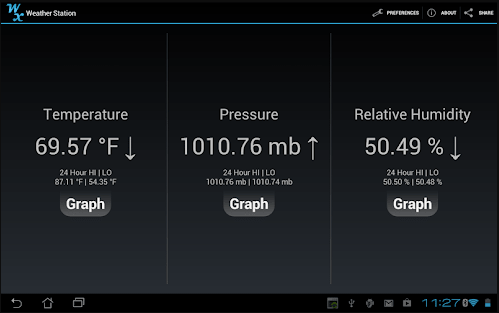 Some smartphones have built in sensors to detect temperature, humidity, and barometric pressure. We use this app as a backup system to tell us about our current environment and we’ve found it to be as accurate as our Maretron Weather Station (a $700 piece of equipment). Robin has also used it for his work in the past as a building science engineer for diagnosing issues in buildings…it’s that accurate. This is our go to grib weather app. It’s nice for storing gribs offline and checking later when we no longer have cell connection. Interface is a bit glitchy on the zoom, but the data is quick. While not exclusively a sailing app, we love this web browser because it dramatically speeds up web browsing and reduces mobile data charges by eliminating ads and compressing images. While sailing in the South Pacific where internet was famously slow and expensive, Opera made it possible to connect. Infact, it’s even meant to allow you to browse over a satellite connection, though we never had any luck making this work with our Iridium Go. 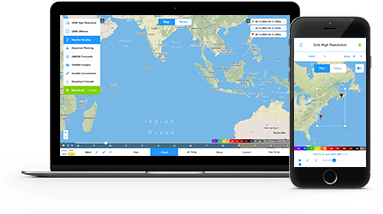 View any in-range vessel with AIS on a live map. We’ve used Marine Traffic to track down buddy boats, or follow family and friends on their cruising adventures. MarineTraffic recently added a neat new augmented reality feature that allows you to identify vessels around you by pointing your device to the horizon. 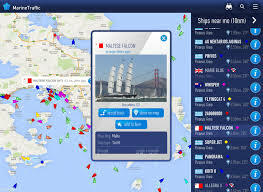 It gives you all the information you need about the vessels: name, flag, speed, distance from you and a lot more. Our chartplotter is in the cockpit (making it hard to hear the anchor alarm with the companionway closed). Also, we don’t like to keep the chartplotter on when we’re at anchor as it is networked to the depth sounder and AIS (which all combine to drain our batteries). 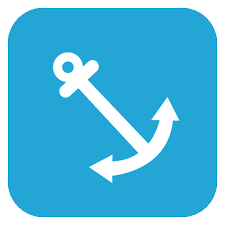 So, we were excited to discover that there are several anchor alarm apps. We used an app called Drag Queen (which no longer seems to exists) but have heard good things about Anchor Watch / Alarm. Not only does it alert you when your vessels drifts out of your set parameters, but it will even send you an SMS message (a nice option if you’re going out of sight of the boat). 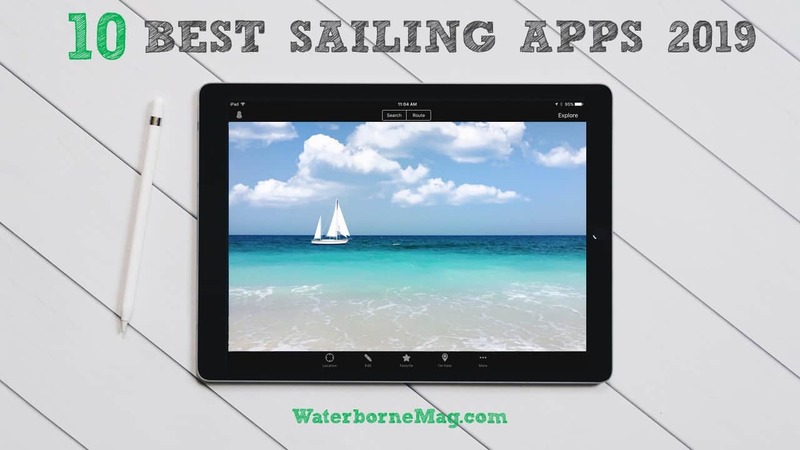 What do you think are the best apps for sailing? Let us know in the comment box below. The best sailing apps that will make a difference on your boat. Satellite and navigation apps, weather apps, anchor alarms and more. Hi, In trying to check our your recommended apps, I cannot find Weather Station. There are many with similar names, but none named exactly that. The link on your page takes me to Windfinder instead. Just curious in case I’m missing out on some amazing tool. Thanks! Looks like your site may turn out to be pretty fun. Oops! Our bad. Turns out it’s only available on Android. It’s a pretty sweet app but we haven’t come across a corollary for Apple. Thanks for letting us know, I’ve updated the post to reflect. Great tip! Thanks for the recommendation Rick. Must give a shout out to MxMariner. Great charting program on a tablet as back up. Have you used ACTIVE CAPTAIN. 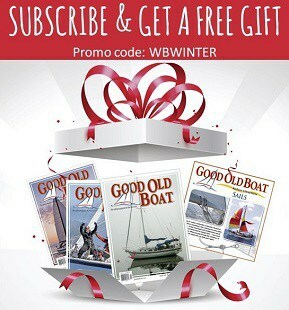 It’s great for up to date info on best marinas/anchorages etc… Super in the US and getting better in Europe. Great suggestion! We’ve heard really good things about it. “Predict Wind” is an awesome app for wind predictions, rain, waves, temp, clouds, sea temp, barometric pressure and on and on…it has a departure planning mode where you tell it where you want to go and, based on all of the conditions which will play a role on your passage, it will help determine the best departure date…it also has a weather routing mode which will help you plan the quickest, safest route to you destination based on the weather predictions…This is a really powerful app…I highly recommend it to anyone. I run it on my android devices, not sure if it is available on apple devices. Great point Daniel. We’ve been using it on our iPad the last little while and it’s been great. Planning to post a gear review on Predict Wind in the near future. 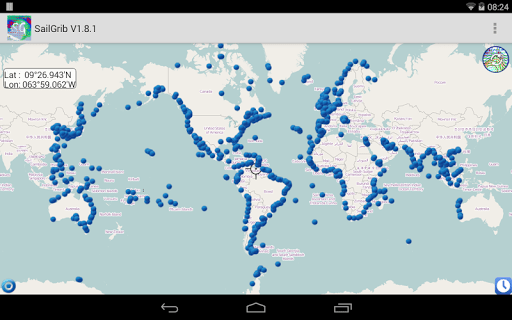 “CruiseAider” for Android app just have been published. It has weather routing, can work offline, automatically recalculates the route in sailing mode. It appears to be promising. Fiona- what about racers! It looks like you are a cruiser – but you should take a minute to check out Tack-x! It is an awesome iPhone app that can work with your apple watch too! It of course has the racing timer count down for getting to the line on time, but it has some other neat features too. The things I like best about it are that you can pink the mark boat and the pin when you go by them, and enter in the heading to the mark, and then it uses that data to tell you how close you are to the line. It also can tell you about your angle on the course and whether you are being headed or lifted, to help you decide if you are on the best tack! This is especially awesome for boats that may not have all of the fancy, expensive electronics on the their boats. 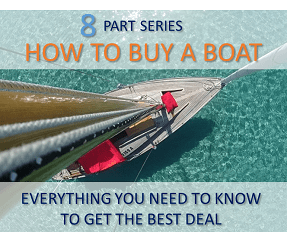 Take a minute to check it out and don’t forget the racing boats in your next survey! RaceQs – Free for keelboats and dinghies: Starts, Tracking, Analysis, Comparison with competitors. Available for Garmin watch and Smartphones (iOS and Android). There’s only one ‘app’ as far as I’m concerned, paper Admiralty charts and a pencil……. Would like to recommend iNavX. iNavX uses NOAA charts and others. It also has an anchor alarm built in. NOAA updates its charts frequently. Using iNavX its possible to have the most recent charts at all times. Commercial charts are updated less frequently. Sometimes, much less frequently. Thanks for the suggestion Jonathan! 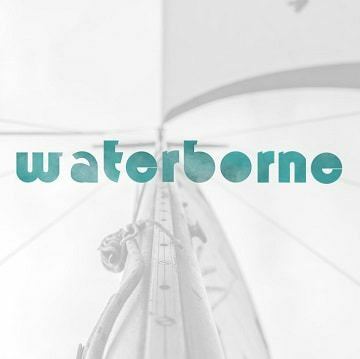 Waterspeed is my favorite app for recording sailing plans and showing speed data, weather, wind direction and velocity forecasts and you can save all of your data for future review and comparison. It’s definitely worth checking out! @Rick… Respect your right to choose but paper goes out of date and it is easy make mistakes when you’re tired. As someone old enough to remember what it was like to sail without an instant position fix I love the way Digital GPS linked charts take the stress out of sailing. To know which side of the sand bank you are on is worth a lot. Love Navionics. Just love it. I can plan my route on the big screen laptop sitting in the club bar. Routes port to my tablet and phone. Even when off watch I can keep a weather eye on what is going on from my bunk.